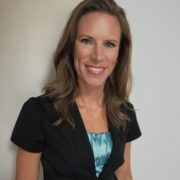 Time- we never seem to have enough but Janelle blogs about how it is vital to schedule some time aside for intentional reflection. Personal and professional growth comes in many forms. 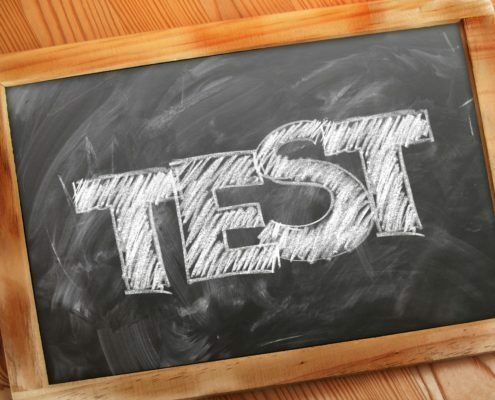 I’m a big believer in the necessity of continuous learning in order to be effective and successful. The best part? This learning can occur anywhere and everywhere through reflective practice. Some reflection happens in the moment, but the deepest learning takes place when we schedule time for intentional reflection. I first started scheduling time for reflection seven years ago. It was a weekly appointment on my calendar, set aside for me to think about the work I had done, was doing, and wanted to do. It was a way to study my own experiences in order to improve my performance and the way I was able to serve others. This practice is what led to the creation of my blog. I had just left the classroom to become the curriculum director for my district. 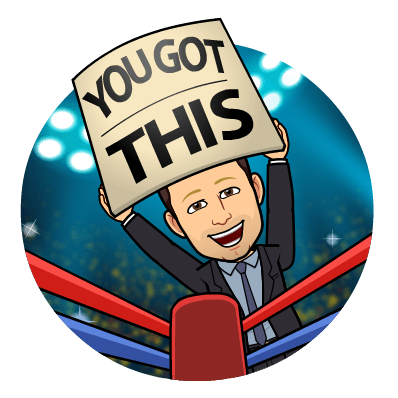 Since I was new to the administrative team, and the only member of the curriculum department, I found it most effective to reflect on my own. I process my thoughts best through writing anyway but had never been a very committed journaler prior to this time. It was only through scheduling an actual appointment for myself on my calendar that I started to make it a priority. Andy Gillett wrote, “The purpose of reflective writing is to help you learn from a particular practical experience. It will help you to make connections between what you are taught in theory and what you need to do in practice. You reflect so that you can learn.” This has proven true in my own practice. Regular reflection ensures that I don’t become stagnant in my practice. Writing out my thoughts forces me to slow down and really process what I’ve been thinking and doing. Jerry Grauman of ROBO 3D agrees with the benefits of journaling for reflection. He says, “It focuses the mind when you have to commit your words to paper and sometimes profound thoughts come right out onto the page.” This is the key to reflective practice. All it takes is some focused attention, brain power and a willingness to learn. We often hear this referred to as having growth mindset, but this willingness to learn, change, and grow is centred around reflective practice. Intentional reflection is a top leadership practice regardless of your title. Some people need a bit more guidance, especially when first beginning intentional reflection. If free-writing is uncomfortable, check out some different reflection cycles for help. 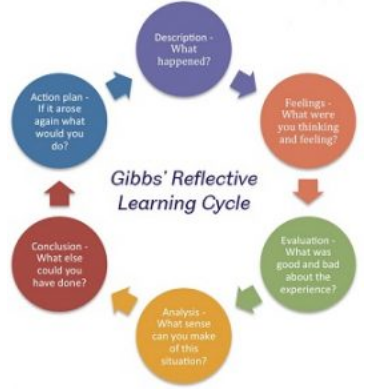 I like the Gibb’s Reflective Learning Cycle because it offers come guiding questions as starting points. Another more basic learning cycle consists of Planning, Acting, Observing, and Reflecting. I believe the reflecting portion is the most critical phase of any learning cycle. When we are willing to set aside time (preferably weekly) for true introspection, our performance will only improve. Scheduled reflection leads to a more natural and ongoing metacognitive process throughout every stage of learning, leading to greater effectiveness in all areas. 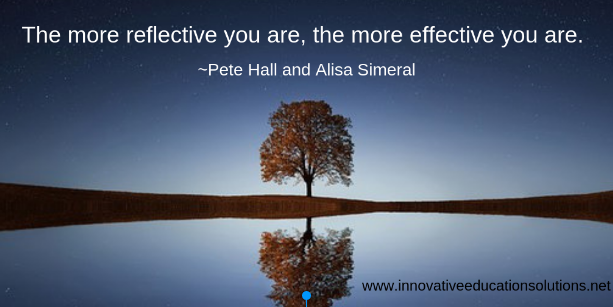 Do you have a favourite reflective process? I’d love to hear about it.